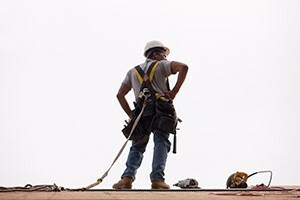 The Occupational Safety and Health Administration (OSHA) has developed a collection of compliance assistance resources to address falls in the workplace, the leading cause of worker fatality in the construction industry. Workers performing tasks 6’ or more above lower levels are at risk of fatal falls or serious injuries. Falls can be prevented if employers plan ahead to ensure the job is done safely, provide the right equipment, and train workers to use the equipment safely. OSHA's goal is to promote awareness about common fall hazards in construction, educate job creators and workers on fall prevention, and reduce the number of fall-related injuries and fatalities. These resources encourage and facilitate the practice of compliance evaluations.